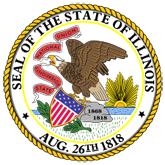 At issue is whether fees that have already been earned by an attorney in a dissolution of marriage proceeding are considered available funds, such that they may be disgorged under section 501(c-1)(3) of the Illinois Marriage and Dissolution of Marriage Act (Act) (750 ILCS5/501(c-1)(3) (West 2014)). We hold that earned fees are not subject to disgorgement. 1. In re Marriage of Goesel, 2017 IL 122046 (122046.pdf).